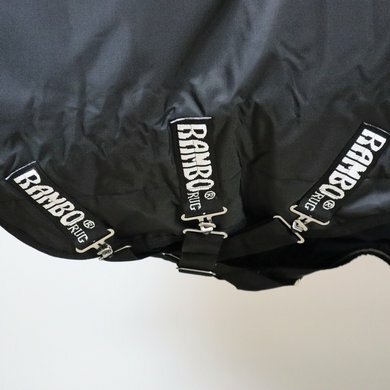 The strongest and most durable turnout material on the market. 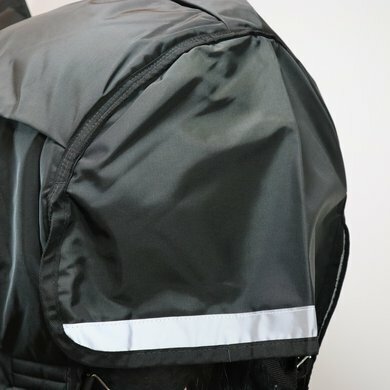 1000D ballistic nylon waterproof and breathable outer, anti-static and anti-bacterial polyester lining. 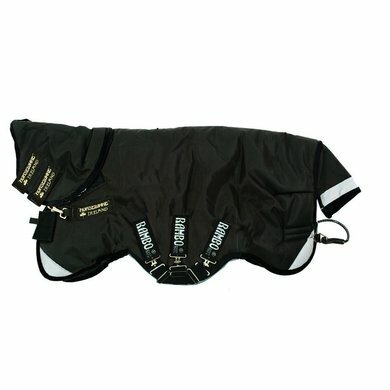 Liner has anti-static and anti-bacterial polyester lining and outer, thermobonded fibrefill. 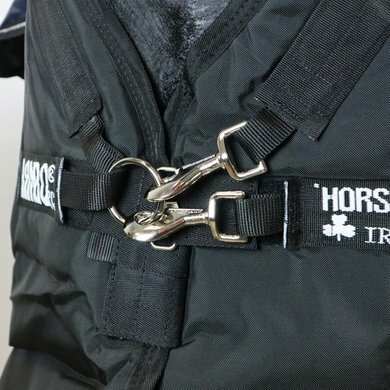 Surefit neck design with V-front neck closure to give freedom of movement to graze, leg arches, reflective strips, wipe clean tail cord, liner loops, 3 secure cross surcingles, shine enhancing polyester lining. Thermobonded fibrefill gives you longer lasting heat retention. 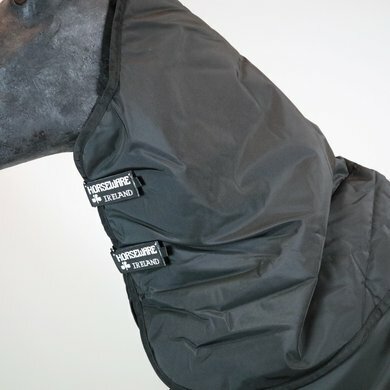 Comes with detachable hood. 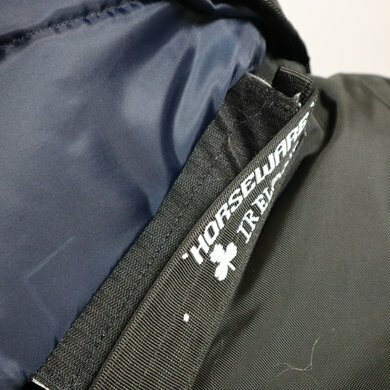 Fits really fantastic, fine 200 grams of winter blanket. Good quality and guarantee of water tightness. Cracker test and nicely adjustable by inliners from 100 to 300 grams. Horse has no trouble with this blanket. 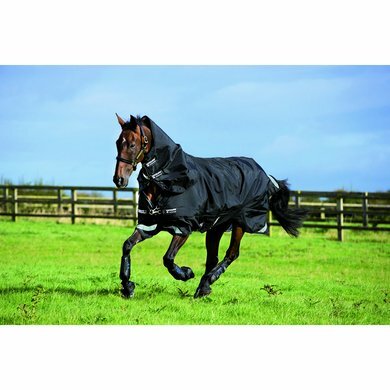 In contrast to almost all other blankets, often too much pressure on the withers and chest, too tight. Now we are both very satisfied. Very fine rug with good fit. The blanket is neat on my lusitano, fits nicely at the neck and does not rub. 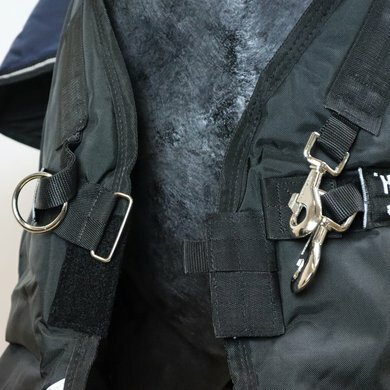 Easy connection for the neck, and with this wide velcro closure less chance of raining in and blowing. Question: Is there a Liner system in this blanket? Answer: This blanket does indeed use a liner system.